You can donate money to Cherry Lodge in several different ways. 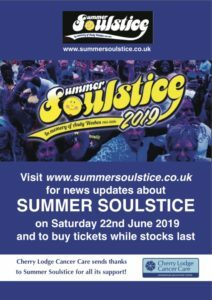 All donations, whether large or small, regular or a one-off payment, will be very gratefully received and acknowledged. If you are a UK taxpayer, we can make your gift go further through the Gift Aid scheme. Gift Aid enables us to claim an extra 25p for every £1 you donate. We can even claim Gift Aid against the sale price of items donated to our shop. Please complete the Gift Aid Declaration section of the Cherry Lodge Cancer Care Donations Form, tick the box for Gift Aid if you are making an online donation, or contact Tina Papasavva on 020 8441 7000 or email tina@cherrylodgecancercare.org.uk. Please note that online donations via our website are administered by JustGiving, who charge a 5% administration fee. 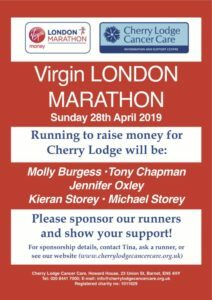 If you are planning to donate a substantial amount in a single transaction, you might prefer to make a direct payment to Cherry Lodge Cancer Care – please contact Tina on 020 8441 7000 or email tina@cherrylodgecancercare.org.uk. It is easy to make a donation to Cherry Lodge, at no cost to you, whenever you shop online using either Everyclick or The Giving Machine . After signing up with one of these sites and selecting Cherry Lodge Cancer Care as your chosen charity, you can click to donate a percentage of your purchase price to Cherry Lodge each time you shop online from participating retailers, including Amazon, John Lewis, Argos, M&S, Topshop, Tesco, Sainsbury’s, the Trainline and Expedia. Although the individual donations might be small, the amount you could raise for Cherry Lodge on a year’s online shopping could add up to a significant amount. If you work for a company or organisation that has a Payroll Giving Scheme, you could nominate Cherry Lodge Cancer Care to receive one-off or regular donations directly from your pay. This is a very efficient way of giving to charity because donations attract immediate tax relief at the donor’s highest rate of tax. Each £1 that you give will cost you only 80p if you pay the basic rate of tax, or 60p if you are a higher-rate tax payer. If you are an employer interested in setting up a Payroll Giving Scheme, you are recommended to read ‘Payroll Giving: introduction for employers and pension providers’ from HMRC (see link below) . Note that employees must be allowed to choose whether or not to participate, and to select which charities are to receive their donations.